Factory Entertainment was a neat find for me at last year’s Toy Fair. They were pushing a new line of wobbly figures, but what really impressed me was their prop replicas—in particular awesome takes on Wonder Woman’s Godkiller sword and Harley Quinn’s bat from Suicide Squad. 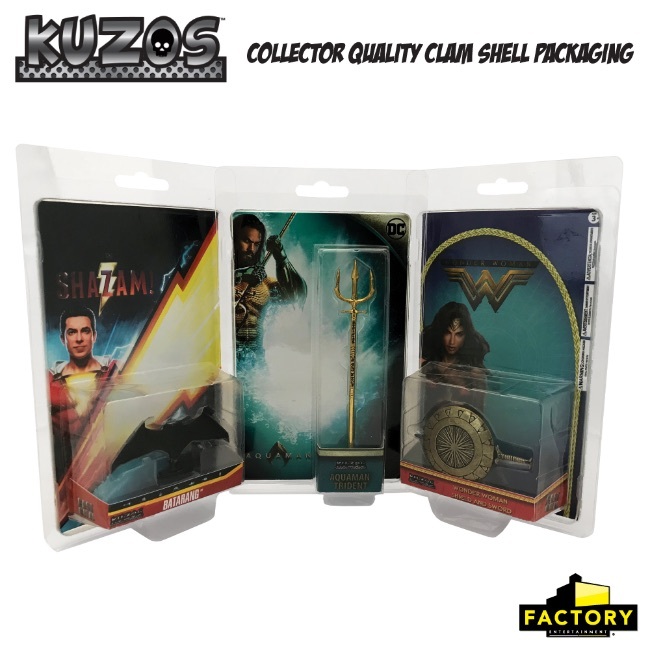 Concord, CA - Factory Entertainment, Inc., announced today that it will be unveiling its brand new line of miniature diecast metal pop-culture collectibles, called KUZOS™, at New York Toy Fair on February 16, 2019.